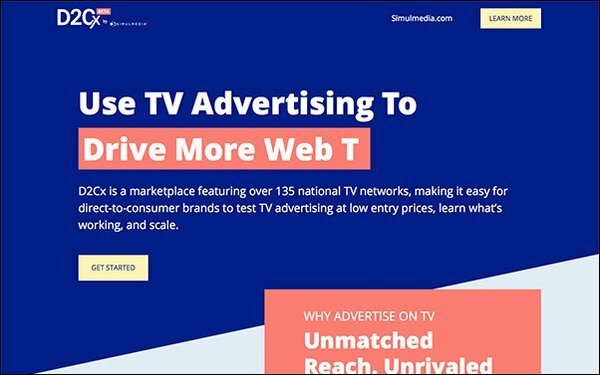 Simulmedia, the TV ad technology company, is launching a marketplace for direct-to-consumer marketers. The platform, called D2Cx.com, is a bidding system that allows small daily minimum marketer media spend to access more than 200 billion national TV ad impressions weekly from top cable and broadcast networks. The company says it will give DTC marketers key return-on-media investment metrics. More importantly, it provides scale they have not achieved with digital media. 2 comments about "Simulmedia Creates DTC TV Buying Platform". Jack Wakshlag from Media Strategy, Research & Analytics, November 1, 2018 at 12:05 p.m. Anything that builds access and demand is a welcome addition. Paula Lynn from Who Else Unlimited, November 1, 2018 at 3:51 p.m. There is going to be "a lot of shaking goin' on".